Injured? Our Attorneys Will Fight Aggressively For You. The Lopez Law Firm is an Austin, Texas, law firm committed to representing individuals statewide who have been harmed by the negligence of others. Often, this means battling national insurance companies to obtain full and fair compensation for our clients. 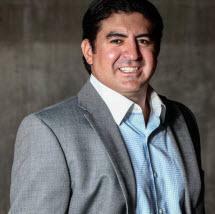 Our firm is led by seasoned trial lawyers Joe Lopez. You can count on him to vigorously fight your opponents while treating you and your family with compassion. Mr. Lopez graduated from St. Mary's University in San Antonio in 2003. Mr. Lopez is a member of the prestigious Million Dollar Advocates Forum and Multi-Million Dollar Advocates Forum. In addition, Mr. Lopez speaks fluent Spanish. The Lopez Law Firm stands ready to serve you in your time of need. We welcome you to call our Austin office today for a free case evaluation about your potential personal injury or wrongful death case. We work solely on a contingency fee basis, which means you pay no fees unless we are successful.